That little chunk is six-months old this week. The time with baby number two is flying by in hyper speed. Breast feeding was way more successful for me with my second, but he seemed to be growing so fast that at his four month appointment I asked the doctor about starting real food. 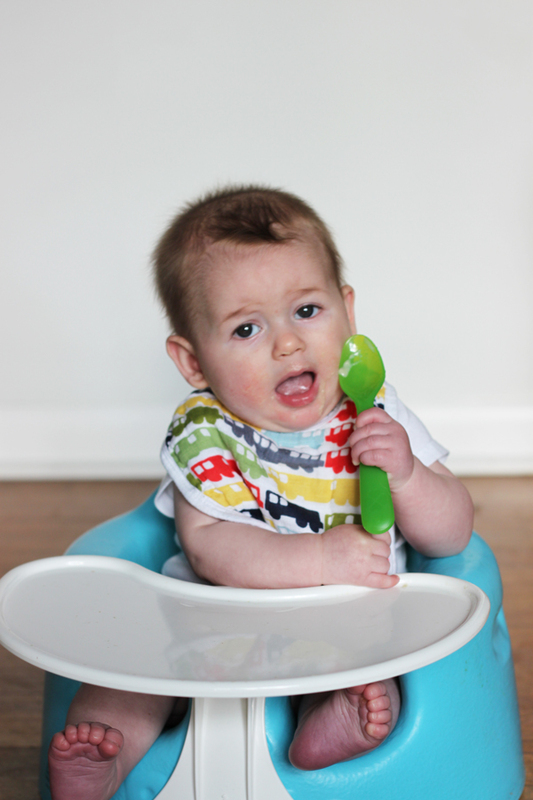 A lot has changed since we started our first on solids almost 3 years ago. The American Academy of Pediatrics is now recommending that parents wait until their babies are 6 months old before introducing food. They're also changing some recommendation of what baby's first foods should be. Rice or oat cereal was the norm just a few short years ago. Avocado: Full of healthy fat, protein and fiber, Avocado is arguably one of the worlds most perfect foods. 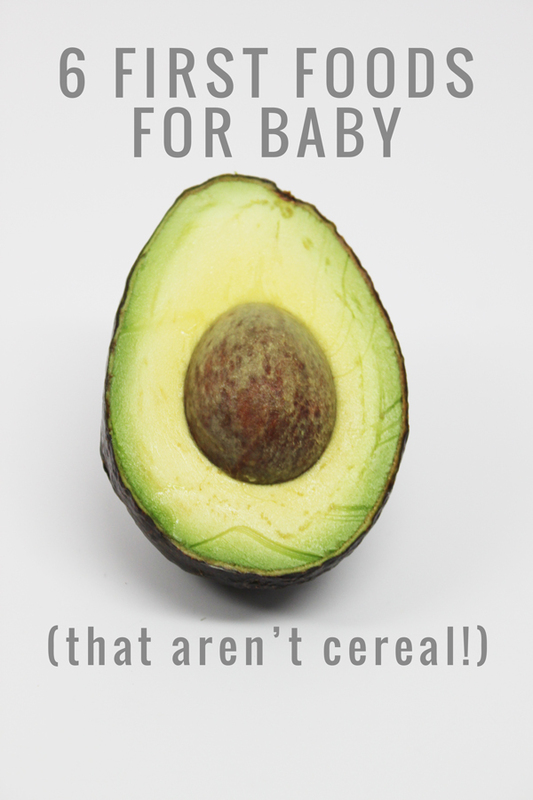 It doesn't even have to be cooked to give to baby. We smash our by hand with a little bit of water to thin it out enough for baby. Banana: Another easy to prepare first food, bananas are high in potassium and just sweet enough. Again you can smash a super ripe banana with a fork or puree it with a little water for baby. Sweet Potato: We love love love a sweet potato - they are high in beta carotene, fiber and a good source of carbohydrates. Its super easy to throw a couple sweet potatoes in the oven to roast on a Sunday and then puree the 'meat' of the potato after it has cooled. Apple: Steamed and pureed apples are a favorite in our house. Our three year old even loves to eat this apple sauce. Zucchini: Zucchini is such an awesome starter starch for little ones - the taste is slightly sweet, not too 'green'. I love to roast them before pureeing with a little bit of water. Pour the water into a small saucepan and bring to the boil over medium high heat. Grind your oats into a fine powder, a food processor or high powered blender will do the trick. Gradually whisk these into the boiling water, then lower the heat and simmer gently for 10 minutes, stirring frequently. If you're looking to improve the eating habits of your whole family - from your littlest bits to your meat-and-potatoes husband - look no further than Prescribe Nutrition's Kids Rule Program! I'll be playing along and you can get 30% off with the code STIRANDSCRIBBLE. Your blog post contained a lot information.I Love it.Your blog post can prove to be really helpful for a lot of parents. Thanks for informing us.